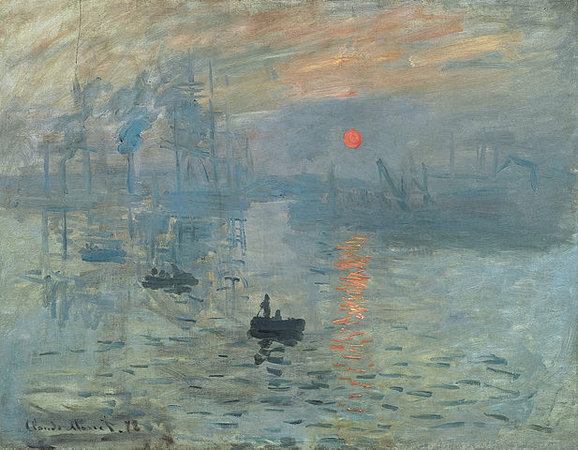 Claude Monet, Impression Sunrise, 1872, oil on canvas, 48 x 63 cm (Musée Marmottan Monet, Paris). 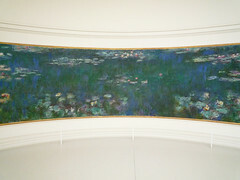 This painting was exhibited at the first Impressionist exhibition in 1874. The group of artists who became known as the Impressionists did something ground-breaking in addition to painting their sketchy, light-filled canvases: they established their own exhibition. This may not seem like much in an era like ours, when art galleries are everywhere in major cities, but in Paris at this time, there was one official, state-sponsored exhibition—called the Salon—and very few art galleries devoted to the work of living artists. 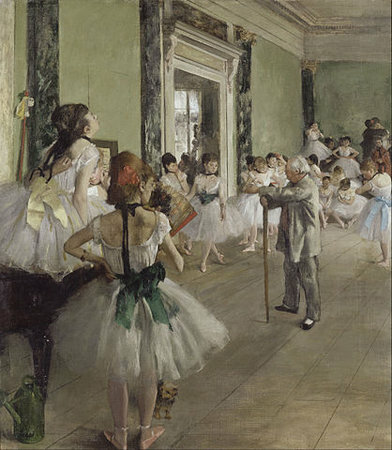 For most of the nineteenth century then, the Salon was the only way to exhibit your work (and therefore the only way to establish your reputation and make a living as an artist). The works exhibited at the Salon were chosen by a jury—which could often be quite arbitrary. 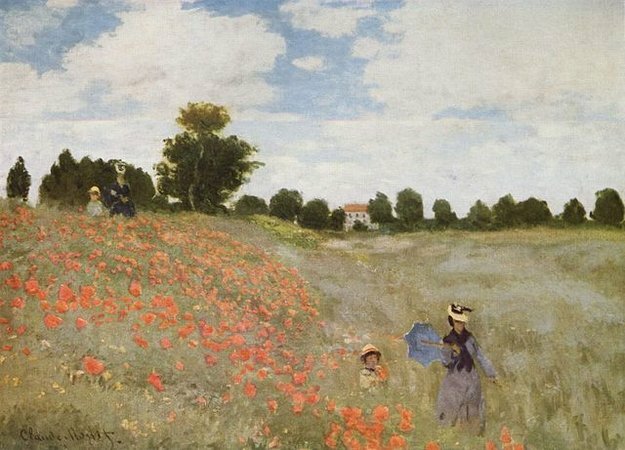 The artists we know today as Impressionists—Claude Monet, August Renoir, Edgar Degas, Berthe Morisot, Alfred Sisley (and several others)—could not afford to wait for France to accept their work. They all had experienced rejection by the Salon jury in recent years and felt that waiting an entire year between exhibitions was too long. They needed to show their work and they wanted to sell it. The artists pooled their money, rented a studio that belonged to the photographer Nadar, and set a date for their first collective exhibition. They called themselves the Anonymous Society of Painters, Sculptors, and Printmakers and their first show opened at about the same time as the annual Salon in May 1874. 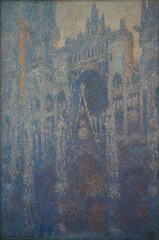 The Impressionists held eight exhibitions from 1874 through 1886. 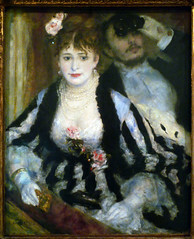 The impressionists regarded Manet as their inspiration and leader in their spirit of revolution, but Manet had no desire to join their cooperative venture into independent exhibitions. 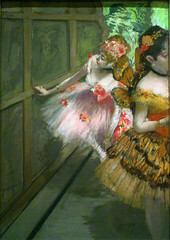 Manet had set up his own pavilion during the 1867 World’s Fair, but he was not interested in giving up on the Salon jury. He wanted Paris to come to him and accept him—even if he had to endure their ridicule in the process. 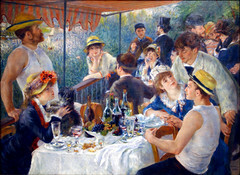 Monet, Renoir, Degas, and Sisley had met through classes. 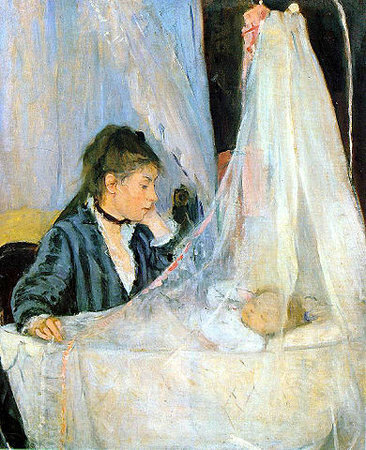 Berthe Morisot was a friend of both Degas and Manet (she would marry Édouard Manet’s brother Eugène by the end of 1874). She had been accepted to the Salon, but her work had become more experimental since then. 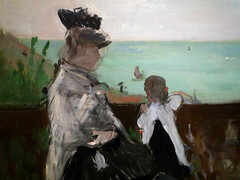 Degas invited Morisot to join their risky effort. The first exhibition did not repay the artists monetarily but it did draw the critics, some of whom decided their art was abominable. What they saw wasn’t finished in their eyes; these were mere “impressions.” This was not a compliment. The paintings of Neoclassical and Romantic artists had a finished appearance. The Impressionists’ completed works looked like sketches, fast and preliminary “impressions” that artists would dash off to preserve an idea of what to paint more carefully at a later date. Normally, an artist’s “impressions” were not meant to be sold, but were meant to be aids for the memory—to take these ideas back to the studio for the masterpiece on canvas. The critics thought it was absurd to sell paintings that looked like slap-dash impressions and to present these paintings as finished works. 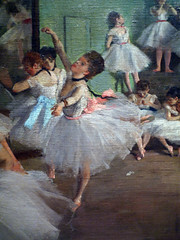 Courbet, Manet and the Impressionists also challenged the Academy’s category codes. The Academy deemed that only “history painting” was great painting. These young Realists and Impressionists questioned the long established hierarchy of subject matter. They believed that landscapes and genres scenes (scenes of contemporary life) were worthy and important. In their landscapes and genre scenes, the Impressionist tried to arrest a particular moment in time by pinpointing specific atmospheric conditions—light flickering on water, moving clouds, a burst of rain. Their technique tried to capture what they saw. They painted small commas of pure color one next to another. When viewer stood at a reasonable distance their eyes would see a mix of individual marks; colors that had blended optically. This method created more vibrant colors than colors mixed as physical paint on a palette. 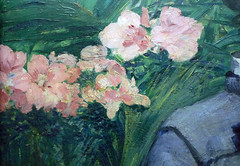 An important aspect of the Impressionist painting was the appearance of quickly shifting light on the surface of forms and the representation changing atmospheric conditions. The Impressionists wanted to create an art that was modern by capturing the rapid pace of contemporary life and the fleeting conditions of light. They painted outdoors (en plein air) to capture the appearance of the light as it flickered and faded while they worked. 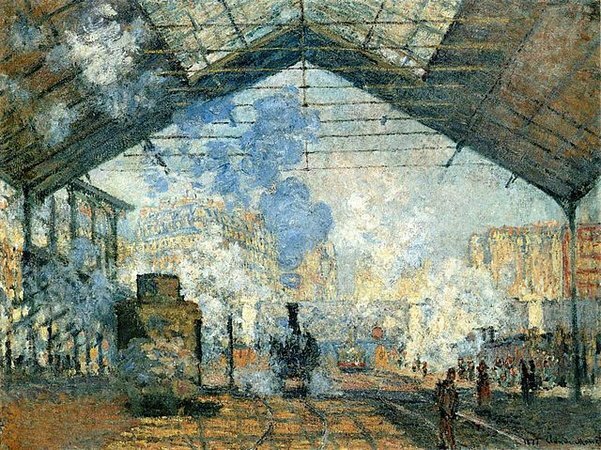 By the 1880s, the Impressionists accepted the name the critics gave them, though their reception in France did not improve quickly. 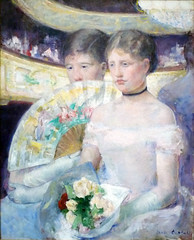 Other artists, such as Mary Cassatt, recognized the value of the Impressionist movement and were invited to join. 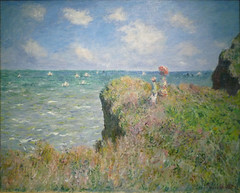 American and other non-French collectors purchased numerous works by the Impressionists. 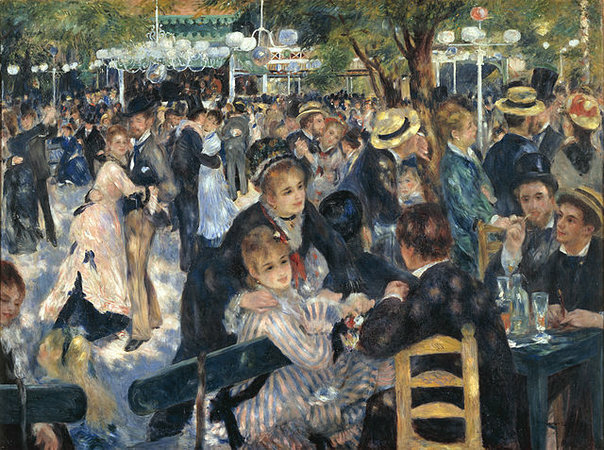 Today, a large share of Impressionist work remains outside French collections. Cite this page as: Dr. Beth Gersh-Nesic, "Impressionism, an introduction," in Smarthistory, August 9, 2015, accessed April 23, 2019, https://smarthistory.org/a-beginners-guide-to-impressionism/.